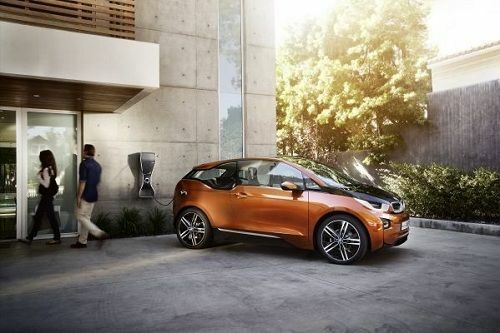 BMW has studied EVs very closely for many years and uncovered some surprising EV habits regarding charging. BMW also has a unique idea about how to handle long trips if you are EV owner. At the Geneva Auto Show, BMW will introduce the new BMW i3 Concept Coupe to Europe for the first time. BMW has been working for many years to develop an electric vehicle. Instead of jumping in and selling a converted 1 or 3 series vehicle, BMW has been rather quietly developing custom platforms for the BMW i3 and i8 concept. The models on display will showcase BMWs current state of progress on electric mobility. Both vehicles use eDrive technology. Torque News and this author have test-driven the BMW eDrive technology applied to a BMW 1 series test mule called Active E. The vehicle we drove was a refined EV with moderately good performance and the buttoned down feel that very heavy small EVs often have. There were no drivability issues. Early on there were some drivability issues regarding the throttle that BMW resolved. As the photo shows, the i3 Concept Coupe will not be a 1 series adapted for electric drive. The chassis and body are unique to the i3. BMW points out that its prototype EVs are optimized for use in all climates. That may be true, but many manufacturers are close to releasing their second generation of EVs and many brands now have multiple models for sale. Saying BMW has a prototype good in snow is not really much of a headline. In a press release today BMW focused attention on two issues it sees as critical to the EV becoming a mainstream transportation option. First is range. Even though BMW has not yet released a vehicle for sale, it does seem to be caught in the same range trap that all other mainstream EVs are. The range is about 100 miles. In order to make the most of the vehicle’s range BMW offers 3 drive modes on the i3. Basically, the car starts off moderately drivable, gets a slower throttle response, and then gets that plus a maximum speed of 56 mph and all of the accessories such as AC and heat are cut back by the car so that range can be maximized. We have seen all these tricks before, and on cars we can buy today if we choose. BMW has also spent considerable software development time and money to have the GPS navigation system take into account both grade (hills) and traffic to maximize driving range. Again, not exactly a giant leap ahead. However, BMW did mention, in the last sentence of its press release something this writer has never heard before. It is unique and it could be a big deal. BMW basically said that part of the BMW i3 ownership experience would be being able to borrow a “real” BMW car if you need to go on a long drive. Although we report on EVs here at TN daily, and in extreme detail, as far as can be determined, no manufacturer has ever made this offer before. It is genius really. BMW said “…BMW i also offers additional mobility modules which allow even longer distances to be covered – for example a conventional BMW vehicle can be provided on a given number of days per year.” BMW, like most luxury brands offers loaner cars from its dealerships for a variety of reasons. Why not just offer drivers of an i3 and X3 for 1 week per year? That would enable them to use their EV most of the time, but if they had a vacation or long trip to make they could reserve a conventional (gas or diesel) drive car and do what they need to do. In addition to this idea, BMW is also considering an optional on-board liquid fuel motor (Chevy Volt style). In addition to range, BMW has used its 1,000 pilot vehicle drivers, and their 1.2 million driven miles to study closely how drivers of EVs actually charge up their vehicles. What they found is not surprising to EV skeptics. Despite a huge amount of effort and planning of public charging stations, and despite 70% of EV testers saying at the start of their testing that public charging would be critical to ownership, actual EV drivers rarely use public charging. In fact, the BMW study found that only about 10% of charging was done in places other than at home or at work. Most EV drivers only drove about 25 miles per day and only had to charge about 3 times per week. The i3 Concept Coupe is slated to go on sale some time later this year in limited markets. BMW is so late to the EV party that it may make a grand entrance and find out the fun part is just about over. With Tesla and Fisker covering the sport-luxury market, and now pretty much all the major automakers including Chevy, Cadillac, Nissan, Ford, Honda, Toyota, and others offering one or more EVs, BMW’s main contribution so far seems to have been uncovering some EV ownership facts and coming up with the novel idea to use a gas car once in a while instead of trying to make EVs do exactly what gas cars have done for nearly a century.